The world is moving fast, and technology is also advancing with it. Therefore, in this article I have decided to give you a short review of the 10 technologies, or technological advances, which show how technology is changing the world, whether it was for better or for worse. So sit back, relax and enjoy this article! The most used Internet search engine and one of the best known brands worldwide. Google is also positioning itself in most sectors of the technology industry (Android, Chrome) and offers multiple services. The achievement of giving users unlimited email has made it crowded and people are grateful. It also allows the dissemination of free information not being bound by any regime, country, religion or political party. Their impact on communication is enormous. In many countries there are more mobile phones than number of habitants. In the last decade it has become exponentially crowded. From being a luxury item and onerous, it has become a necessity. In the last five years it has substantially improved services and applications. A technological advance which have connected a lot of people! ust be corrected. Current access to the Internet still lacks cost and logistics coverage, but its growth and impact are impressive. Although it democratized and massified communication, it reduced quality and increased risks. A technology complementary to the previous ones that optimizes them, looking for to end the cables. A formidable advance in comfort and agility. 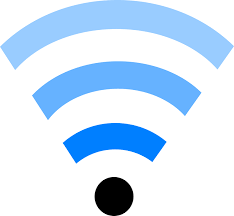 When I see Wi-Fi I ask myself “How were we able to live without this?” It really necessary a Wi-Fi connection today, in order to make easier the internet connection and more. Very good and necessary technological advance that is helping to prove that technology is changing the world! Apple dominated the market in 2001 with the first player. This would combine an attractive design with ease of use and good capacity. The iPod marked the beginning of the era of glory for the MP3. For its part, the iPad, the Apple tablet, has caused a real earthquake in the media sector. Today much of the world’s newspapers have migrated to this system. 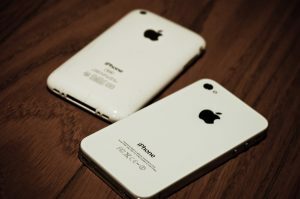 It is the most impressive mobile phone, by design, style and utility, marking differences for three years. The device itself changed mobile communication and became an example to be followed by all manufacturers. The iPhone that has a capacity for fantastic innovation, is the benchmark for the most sophisticated mobile phones in the world. (Facebook, Instagram, Twitter): They have undoubtedly devastated users by forming gigantic virtual communities. However, many contradictions have appeared, with various problems of use, especially among minors. On the other hand, social networks are showing that technology is changing the world and, when you had to travel to Europe before to meet other people, now is easier with social networks. Great! Currently the predominant technology is LCD. But there are already higher quality alternatives such as LED or OLED screens. And technology is coming in 3 dimensions. This ability and versatility has made our products less voluminous and represent a great technological advance. Although they are part of a highly specialized and segmented public, its impact is also a giant technological innovation. The world of video game consoles is a case in point, since the video game industry often withstands economic crises; millions of units are still being sold. Play Station, PSP, Nintendo Wii, Xbox, Game Cube … continue in constant struggle to get the market. If you want to know how technology is changing the world, you can see how the video game industry has evolved. One of the technological advances of last generation and most sold of the last years. It has facilitated the world of communications and transport. 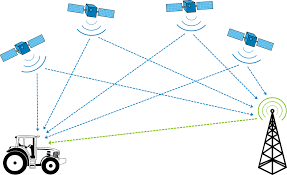 It facilitates orientation and planetary location. This technology has allowed, without a doubt, to know and have information from a multitude of places. Not in vain the hotel industry takes advantage to be noticed in the maps! A technology that is, and will continue, changing the world. Many years have passed after internet creation, and many new technologies have been created. Most of the technologies created are changing the world and others are changing the human thought and habits. Technologies is changing the world faster and faster every day so it is so important to be informed about the technological advances, in order to stay one step forward and take advantage of this. Do you know more technological changes that I didn’t mention about? Share it in the comments below, it will be amazing to increase our knowledge about technology. See you around!